I am offering this book for free (use download button above, PDF). However, your support is greatly appreciated. If you like this book, please purchase the paper edition (link above) for support. Your support will enable me to write more like this. 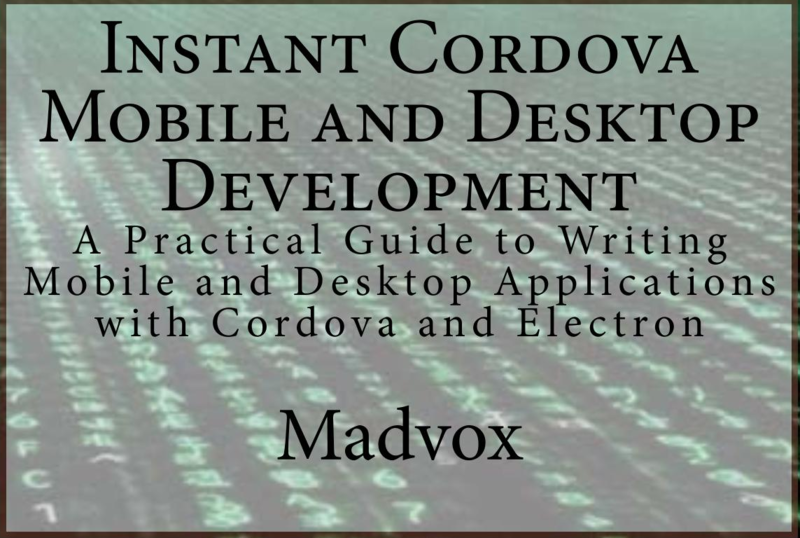 A practical guide for beginners and intermediate persons to learn, install, configure and build applications using the Cordova framework. 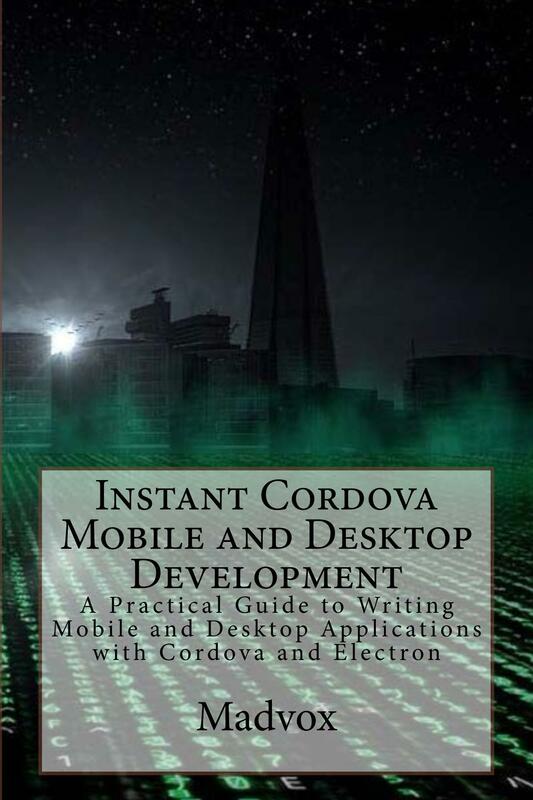 This framework allows developers to craft applications for mobile and desktop environments. Mobile platforms can be Android, IOS, Windows Phone, Other Windows Mobile, Amazon Fire, FireFox OS, Chrome, Blackberry, etc. Desktop platforms shown here include Linux and Windows but applications will run on MAC as well if the developer desires. Desktop applications covered can be developed with Visual Studio using UWP but coverage is focused on the Electron Framework for Windows, Linux and MAC and specifically for hybrid web-based applications. A web developer in particular can easily port his or her skills to Cordova and successfully build an application, with a single code-base, on all the platforms listed above. This book shows the beginner which tools are used, which are the best, how to locate, download and install these tools, how to configure the tools for running and debugging applications on devices and emulators and finally, how to sign and deploy these applications to application stores. A Google Android release, which typically has the most steps, is covered in detail. Who is this book for? : Beginners attempting to figure out how to build a mobile application for any of the main platforms, Web Developers that perhaps have not yet taken the step to develop a mobile app, Windows developers that want to port their web apps to Linux, Linux Developers trying to get some desktop apps across platforms, intermediate or advanced developers that may not have used these technologies yet. What does the book cover? 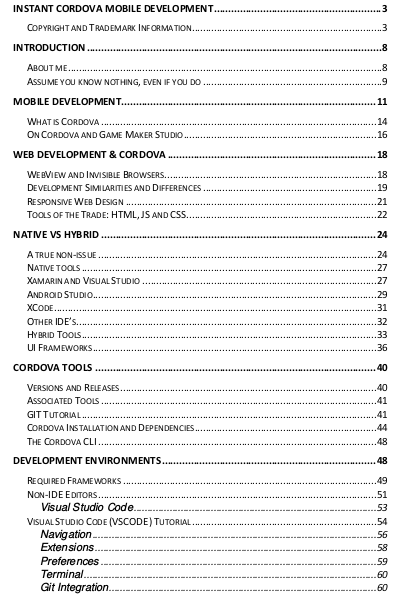 : Cordova (PhoneGap) from zero to one hundred percent for beginning programmers. GIT and SmartGit to help manage versions. Visual Studio Code as your main development environment. Electron in the end to show you how to port from Cordova to Electron. Is there a useful sample app included? 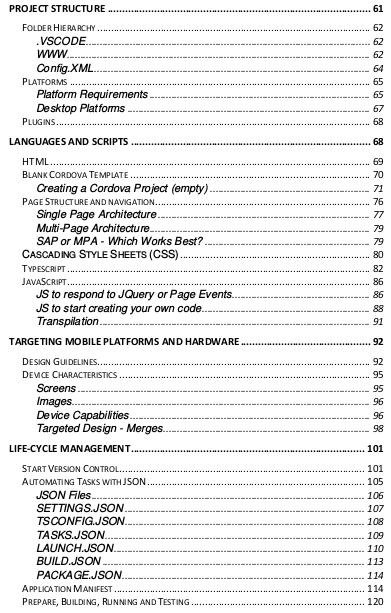 : Yes, I took the code out of one of my store apps and revamped it so that it would suit this book. 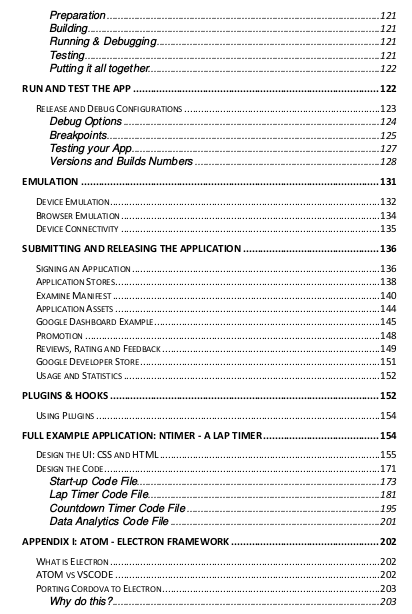 The entire code is included and you can also download it here (title of this page). 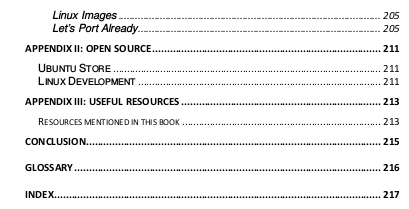 How can I click hyperlinks on a printed book? : You cannot! The printed book is for convenience. Use the PDF or Kindle version to access the hyperlinks. The printed book is a companion to the PDF and not viceversa.